NatureNurture Eduserv Private Limited is an Educational Management company providing customized curriculums, teacher trainings and materials and resources in the form of books, software, educational aids and innovation labs to institutions, learners and parents across the country. In conversation with Ms. Pooja Agarwal, Founder & Director of NatureNurture discussing in detail about transforming education towards 21st century learning and the company’s contribution. 1. What is your vision of transformation of education in the next 2 decades? We strongly believe in the 21st century school of thought that the Child is the Curriculum. We need to put the learner at the center of the learning and allow them to create their own meaning from their experiences. Obsolete methods, approaches and educational models will fail to prepare children for a technologically-driven global economy. The educator in this age of information has to develop the thinking skills of the learners to empower them to find out and skim information on their own which they can analyze and use to create knowledge rather than memorize it. 2. How do see your company’s role in actualising this vision? We at NatureNurture are striving hard to realize the dream of providing every student a set of critical skills needed for success in the global market. The NatureNurture curriculum incorporates elements of the SAMR and TPACK models and attempts to enhance and transform learning with the integration of technology. Our Mobile Innovation labs bring the language, science and other labs into the classrooms making them exciting, challenging and full of learning. Our company is going beyond smart boards for smart digitalization, adopting a curriculum that is complemented by technology, advocating mobile innovation labs in every classroom and doing everything in its power to strengthen the bond between the stakeholders. 3. Where do you see this change happening? We see the change happening at multiple levels. In the NatureNurture classroom, the learners are meaningfully engaged in activities that help develop life skills and values much required for success in the 21st century. 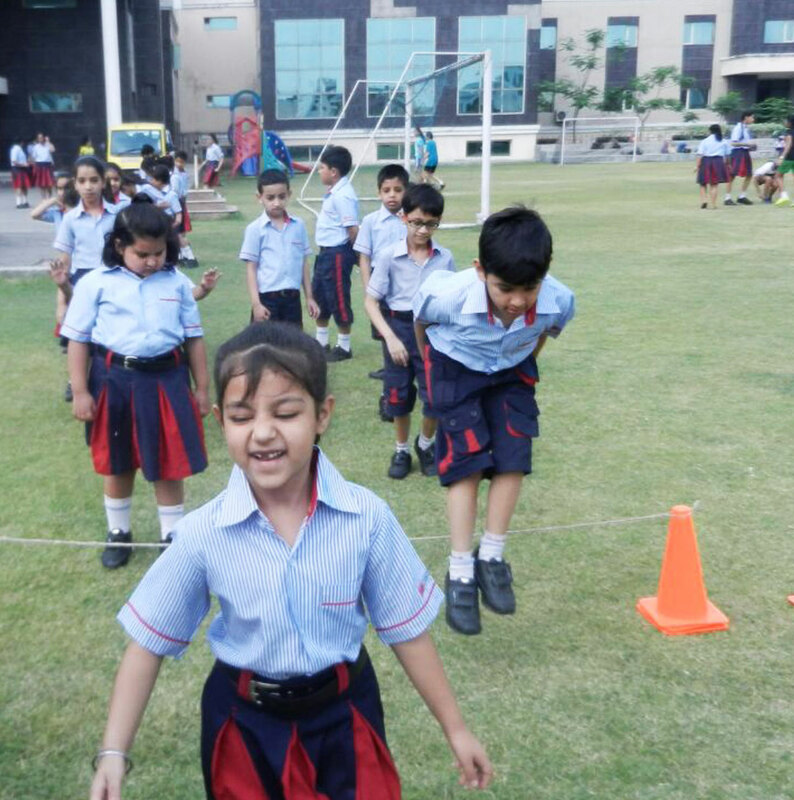 We see the change happening at the school level, in the educators who are trained regularly. One can see educators in the NatureNurture classrooms who have given up obsolete instructional methods and are not merely teaching / lecturing; instead they are facilitating the young learners and allowing them to create their own meaning. We see the change in parents, who are now partners in their children’s education. NatureNurture works towards strengthening the School-Home connect by providing parenting workshops at regular intervals. They are given glimpses of what happens in the classroom and what they can do to help their children grow into confident, happy and successful individuals who fit effortlessly into the 21st century world. 4. What is the main challenge that India needs to face to attain UN Sustainable Development Goals (UN SDGs)? There is an imbalance in the private and public schooling, and unless the balance is restored to reduce inequality and provide quality education to the masses, our country will continue to battle with unemployment and many other related problems. But this imbalance should not be seen as an impediment as it usually is. Rather it should be seen as a novel opportunity for the educationists of our country to come together and rally for the change that we advocate in speaking engagements. The children of today will be the beneficiaries tomorrow of the SDGs, and it is them who need to be made part of the global process during their formative years itself. We strongly believe that awareness of gender equality and environment conservation are at least of equal importance, if not more important than numerical, letter and technology literacy. 5. Which innovation (in respective sector) in the last financial year has caught your attention? Educational aids have always been an integral element in any classroom. There are numerous benefits of such aids. These include helping learners improve reading comprehension skills, illustrating or reinforcing a skill or concept, differentiating instruction and relieving anxiety or boredom by presenting information in a new and exciting way. NatureNurture has developed mobile trolleys that contain a host of age appropriate educational aids. These mobile trolleys are cost effective and can be shared by all the sections of a class in all 3 grades of Kindergarten; thus ensuring that the school does not have to buy individual aids for each section or class. Moreover, as mentioned earlier, our mobile trolleys bring the language, science and other labs into the classrooms making them exciting, challenging and full of learning. 6. Where do you see the role of Private sector (the sector you are targeting) in education in India? A recent Ernst & Young report on education states that about 75% of all schools in India are in the private sector and 55% of all school going children between the ages of 6 and 14 attend schools set up by the private sector. The private sector in education is one of the largest growing segments in our country that provides tremendous opportunity for anyone wanting to meaningfully contribute to the child. It is time that the educational organizations join hands to create an infrastructure of stability and inclusion. We can together provide meaningful education. 7. How do see your product offering as a benefit for education institutions? In India, most schools cannot allocate a substantial budget to enhance the teaching–learning mechanisms in their classrooms. Taking inspiration from the best of practices from around the world, NatureNurture has created and customized curriculums for schools pan India at a fraction of the cost. The parenting workshops, teacher training programs and audits that we conduct are completely free of charge. In the NatureNurture program, the educators are made a part of the curriculum development process and actively contribute to the development of the program. The regular training empowers them with knowledge of new instructional methods to facilitate learning. Our team’s customized development process ensures the specific needs of each institution are met and accounted for in our learning program. Disclaimer: The opinions expressed in this article are the personal views of the author and does not reflect the views of IDA. The article is published as is and we bear no responsibility for any errors in the content of the article.